It’s going to be years for mobile ad revenue to become material. As a result, in the near-term magazines will need to look to subscription revenue to drive incremental profits. But, even if iPad sales wildly exceed expectations and users rush to purchase lots of magazine subscriptions (we don’t think they will), this will not be enough to drive meaningful revenue at most magazines. Just like the internet hasn’t turned into a material business for most print magazines, neither will the iPad in the near-term. iPad owners are early-adopters that consume a lot of content so let’s say 50% of them subscribe to two iPad magazines each. 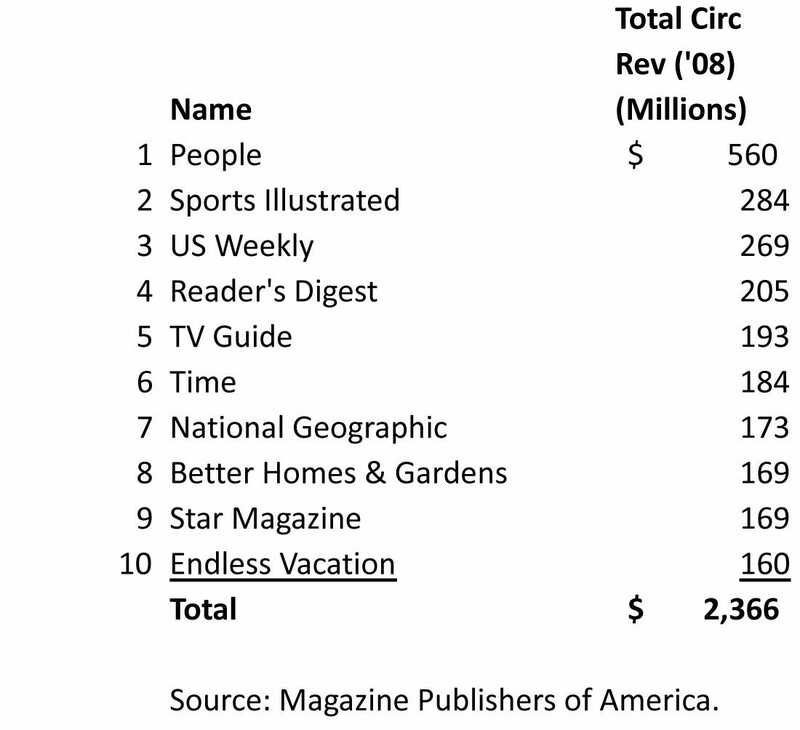 Magazine subscriptions on the iPad are higher than print subscriptions (most magazines plan to charge more initially), so assume an average $15 per monthly subscription. 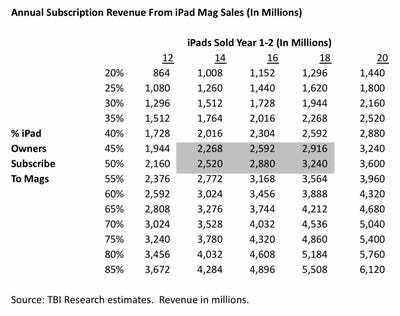 Even if iPad sales soar past expectations and reach, say, 16 million units over the next two years total magazine subscription revenue would equal about $2.8 billion per year under the above case scenario. 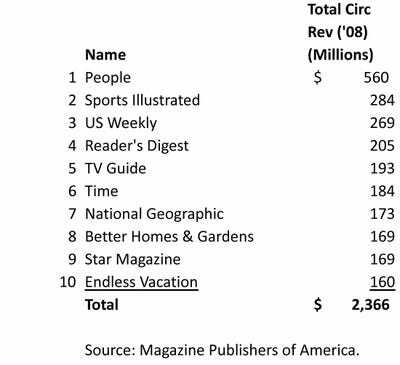 That’s less than 30% of annual circulation revenue for the entire magazine industry and only about 10% of overall industry revenue (circulation + advertising). Of course, magazines that sell well in print may not sell well on the iPad – finance and B2B trade titles will likely have an easier time charging on the iPad, like they have online. 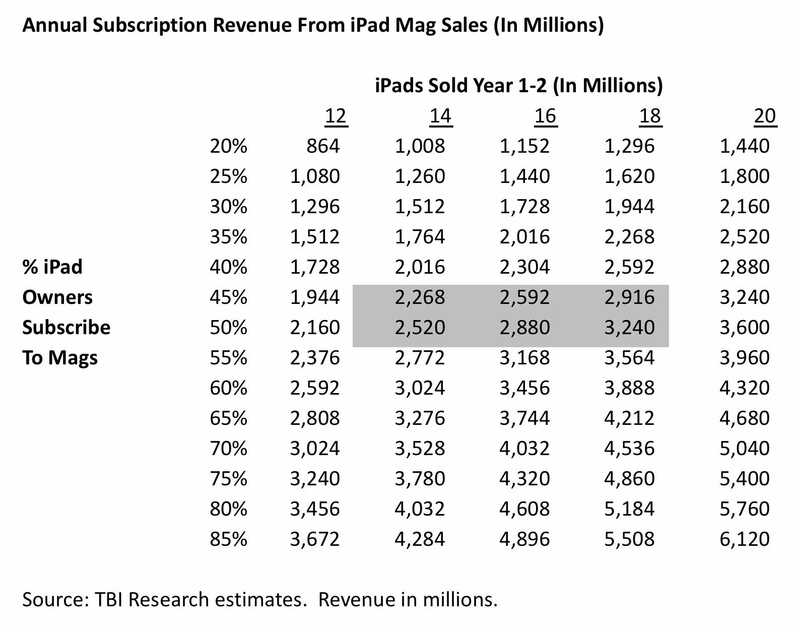 But, the point is the same – the revenue opportunity for magazines on the iPad will likely not be enough to counter near-term revenue declines from print operations for the vast majority of titles even if the iPad is a huge success.